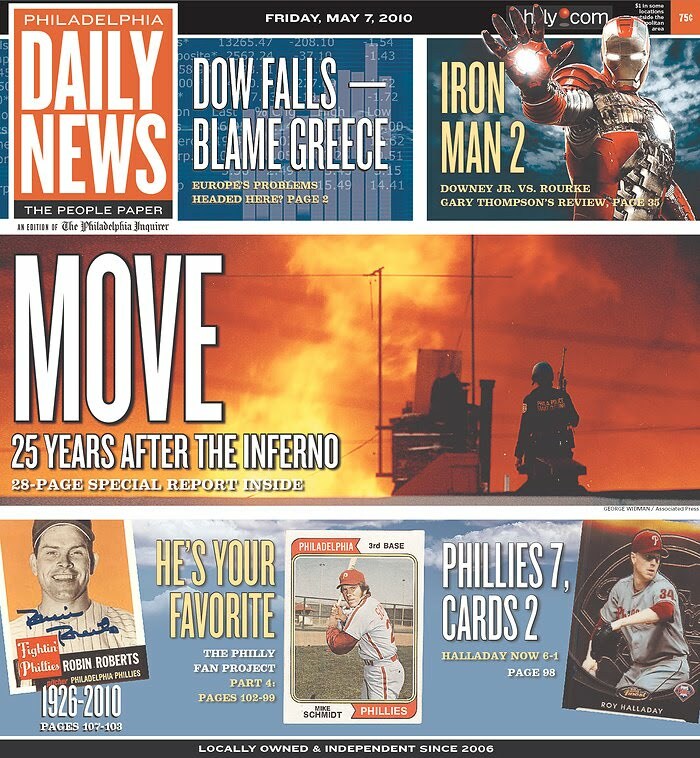 The Philly Daily News’ Friday front employs Mario Garcia’s redesign very nicely. Look how lively and layered the design is. The MOVE retrospective is sandwiched with business, Iron Man and a Phillies fan package. Wish I lived near a newsstand down that way. Somehow this blog hasn’t afforded me any inside information either at the Philly papers or with Dr. Garcia, so I’m left wondering if the Inquirer will be unveiling a new look any time soon. Or will the tab be upstaging the broadsheet every day for the forseeable future?